In June, Molly Crabapple was invited by the Karam Foundation to the Salam School in Turkey, a mentorship program for children displaced by the Syrian War. 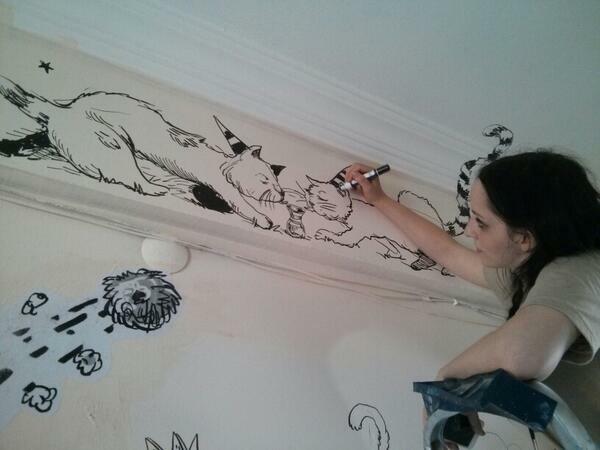 While there, she covered the walls with her drawings and wheat pastes based on many Syrian fables. This entry was posted in Uncategorized on July 13, 2014 by 7548pwpadmin.